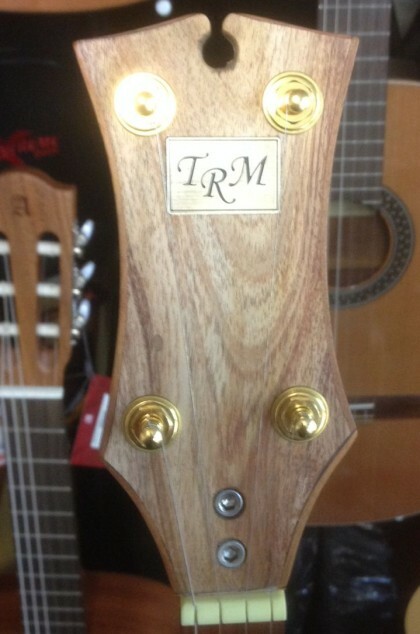 We have just received two stunning Ross Martin banjos. They are now on display in the shop. Ross Martin. 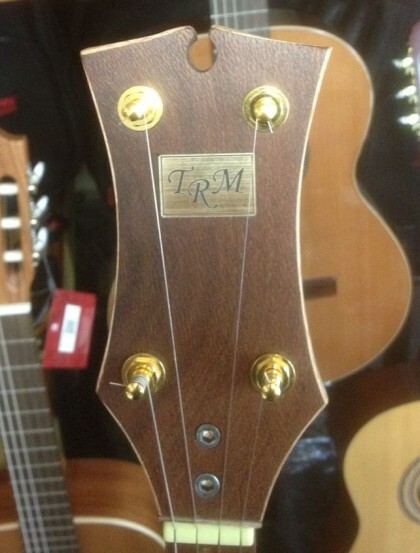 They are works of art as well as superb musical instruments that are meant to be played. The 005 Banjo features a Tallowwood body or pot, Peppermint Eucalypt neck and Mulga fingerboard. The 006 Banjo features an Ironbark body or pot, Rosewood Neck & Fingerboard and Beefwood face plate. They both have a strong rich tone and are a joy to play. They are a bargain at $2,200 each. 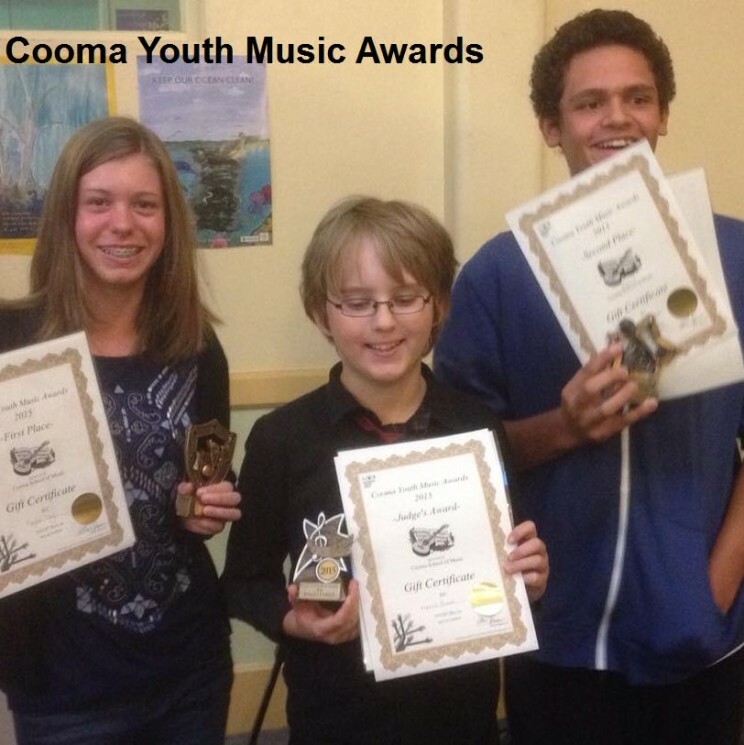 Cooma School of Music has joined forces again with The Hub Youth Centre and Cooma-Monaro Shire Council to present the Cooma Youth Music Awards 2016. This music competition is designed especially for the young musicians in Cooma and region. Cost: Free to competitors and their families and friends. Food and beverages will be available to purchase from the restaurant. All styles of music are welcome – soloists, bands, vocalists. The Prizes will be donated by National Youth Week and Cooma School of Music. 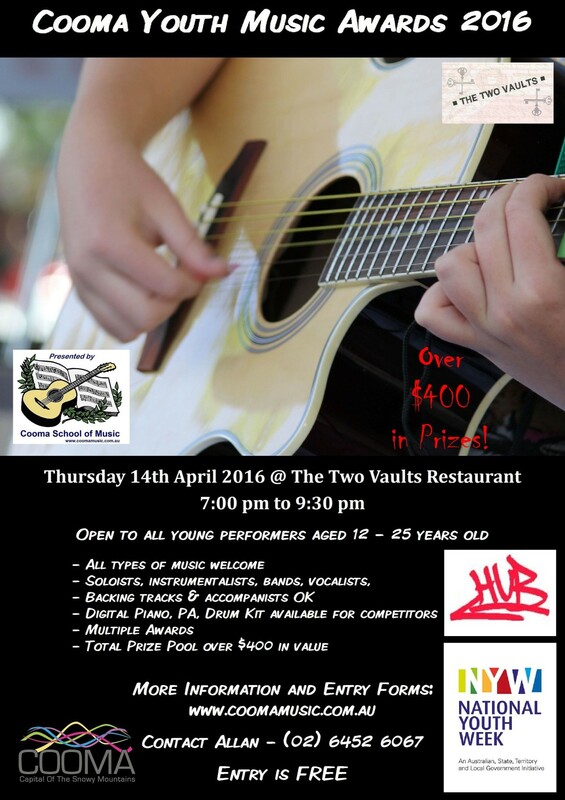 This entry was posted in Competitions and tagged Cooma Youth Music Awards, National Youth Week, The Two Vaults Restaurant on March 15, 2016 by allan.